Great Dental Care should not break the bank. At Flawless Dental Group we offer a variety of Payment Options along with Financing to help you achieve your Individual Dental Needs! Special Offer for New Patients!! 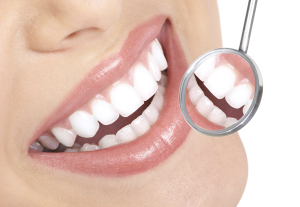 We proudly accept a Majority of Dental Insurances to help you achieve your Perfect Smile. If you have questions about your Dental Benefits, don't hesitate to ask our wonderful staff! A Great Smile is a Lifestyle Enhancer - It can build confidence, open new doors, and create opportunities - not to mention it can make you feel great about yourself. At Flawless Dental Group, we can help you get to that level! Flawless Dental Group provides full service Family Dental care to all of our patients. Whether it's caring for your child's first tooth or providing care for the elderly, Flawless Dental Group is here to guide you each step of the way! At Flawless Dental Group, we believe that everyone should be entitled to receive the very best Dental Care at an affordable price! Our policy is to treat each and every patient like family! Our caring and knowledgeable staff along with our team of incredibly talented Dentists are eager to provide you with the very best services that Dentistry has to offer. With Flawless Dental Group, your Perfect Smile is Just Around the Corner!! At Flawless Dental Group, Your Smile, Oral Health, and Absolute Satisfaction are our Number 1 Priority! Flawless Dental Group was established in 2010 with one simple goal in mind - provide great Dentistry to all of those in need! Many patients simply do not know the endless possibilities that Modern Dentistry has to offer. 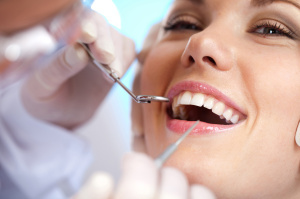 Let our professional staff help guide you to making the right long term decision for your Healthy Smile! The link below will help you understand all of the treatment options that we currently offer at our practice. Also be sure to check out our Education Video Portal! Can I use my Dental Insurance to be seen at this office? At Flawless Dental Group, we pride ourselves on being In-Network with a Majority of Dental Insurances. By clicking the link above you will be directed to a list of all insurances that we participate with! What Financial Options are available to patients without Insurance? At Flawless Dental Group, we offer a variety of Payment options ranging from Cash/Credit Cards to Specialized Dental Financing. The link above will direct you to all of our Financial Options. I have been putting off this procedure for years, will it hurt? You are not alone, many patients have a fear of visiting the dentist. While it may not be the most pleasant experience, we promise to make your procedure as pain free as possible! Don't let fear hinder your Smile! Do you accept Walk-In Patient or Patients with Emergencies? Absolutely! Walk-In Patients are always welcome at our office. If you are in pain and require immediate treatment, we will not turn you away. Your well being and healthy smile are important to us, so feel free to come on in! Do you offer same day services or late/weekend hours? We certainly do! Time constraints are common for many of our patients. We will work with you to provide you the best care possible around your schedule. Scheduling is always flexible and we are open on Saturday from 9am to 4pm! How often should I visit the Dentist for Routine Checkups? The American Dental Association recommends scheduling routine checkups every 4-6 months. Every patient will have a unique Dental Treatment Plan, we suggest for you to discuss your unique plan with our team on your next visit!